The Armenian Apostolic Church (Armenian: Հայաստանեայց Առաքելական Եկեղեցի, Hayastaneayc’ Aṙak’elakan Ekeġec’i) is the world’s oldest National Church and is one of the most ancient Christian communities. 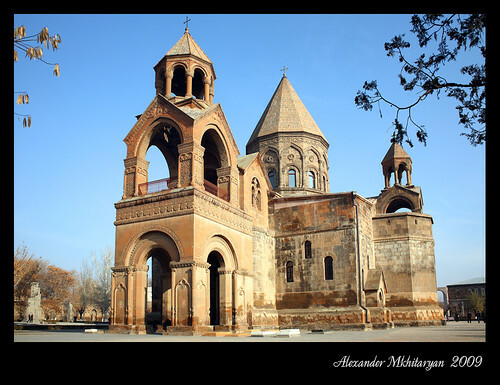 Armenia was the first country to adopt Christianity as its official religion in 301 AD, in establishing this church. The Armenian Apostolic Church traces its origins to the missions of Apostles Bartholomew and Thaddeus in the 1st century. Built in 1130 – yes, nearly 900 years ago. Built in 1250 by Dominican friars from Bologna, the church was gutted by fire in 1850. Rebuilt in 1872, it’s now an important evangelical center. The image of Our Lady of the Rosary, found inside the Rosary chapel, is said to have healing powers. The complete Audio Holy Bible (King James Version) The vocal talents of two of the world’s most gifted artists combine in service to the most popular book of al time, resulting in The Complete Audio Holy Bible on compact disc. Exalt in the Word, as every syllable of the King James Old and New Testaments are brought together to life by Jon Sherberg and James Earl Jones, providing hours of inspirational listening. 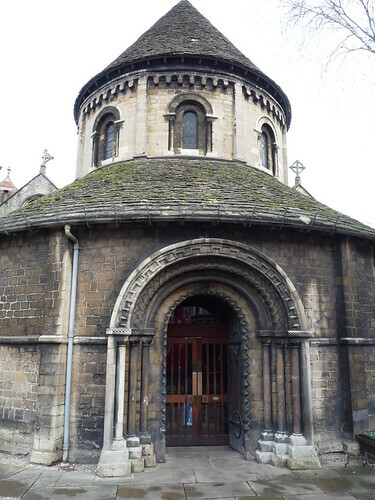 "One of the doors on the roof leads to the Ethiopian monks’ chapel. This is separated from a passageway by a green-painted railing, leaving just room for four pairs of benches on each side of a Persian carpet-runner before a simple screen of dark, silver-painted wood. 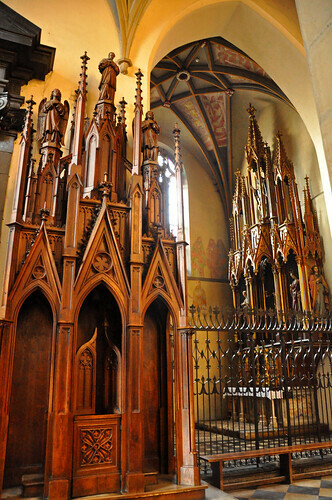 In the centre, a horseshoe-arch opens to the high altar, hung with white silk, beneath an icon of the Virgin and Child. Ethiopians speak the ancient Semitic language of Amharic. They worship in the even more ancient dead language of Ge’ez. Their liturgy if full of surprises. As well as Sunday, Saturday is a holy day, and in each church the Ark of the Covenant is revered. Indeed Axum cathedral is said to house the Ark once kept in the Holy of Holies of the Jewish Temple."